Antonio Rocha, an internationally acclaimed and award-winning storyteller, mime, and actor from Brazil, will be a featured performer for the 2012 HSPLS Children’s Summer Reading Program at 17 selected public libraries statewide from June 27 – July 7. 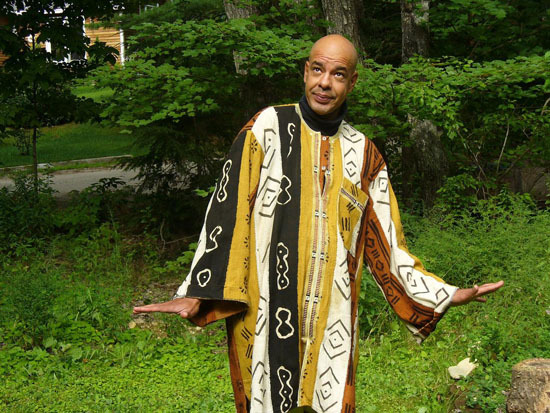 Rocha, winner of the 2008 Parents’ Choice Gold Award for his “Under African Skies” DVD, is a master storyteller and mime whose career in the performing arts has spanned more than 25 years. In 1988, Rocha received a Partners of the Americas grant to come to the United States to refine and perfect his mime skills with the late Tony Montanaro, one of the great mime artists of the 20th century. Rocha also studied with the late Marcel Marceau, universally considered the world’s greatest contemporary mime artist. Rocha’s unique solo performances of stories and mime have been presented from Singapore to Hawaii and in many places in between including 14 countries on six continents including the John F. Kennedy Center for the Performing Arts, the Smithsonian Institution, Wolf Trap National Park for the Performing Arts, the National Storytelling Festival, National Geographic, the Tales of Graz in Austria, the Dunya Festival in Holland, and the Singapore Festival. His repertoire of animal tales with an ecological theme and a myriad of fantastic sound effects will not only entertain but also educate. The program schedule is subject to change. This 45-minute performance is recommended for ages 5 and older. All children must be accompanied by a parent or caregiver. Performances by Rocha and other featured artists from the Statewide Cultural Extension Program (SCEP) are jointly-sponsored by the University of Hawaii’s Outreach College, Hawaii State Foundation on Culture and the Arts and the National Endowment for the Arts. Corporate sponsors include McDonald’s Restaurants of Hawaii, Hawaii Pizza Hut, Frito-Lay of Hawaii, First Insurance Company of Hawaii, The Islander Group, American Farm Bureau Foundation for Agriculture, Candlewick Press, Diamond Bakery Co., Ltd., Coffee Bean & Tea Leaf, and local Friends Chapters. The State Department of Education is providing printing support.